BarkBox is a subscription service that sends out themed sets of dog treats, toys and chews to pet owners each month. Themes vary each month and range from the whimsical and wacky to the cute and cuddly and everything in between. 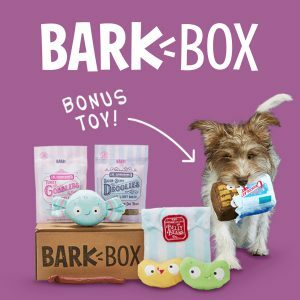 If you love your dogs and want to expose them to new experiences each month, BarkBox is the way to go!